I’m late! I’m late for a very important date! I don’t have today’s craft ready. I know…you’re heartbroken, aren’t you? You’ve been sitting there hitting refresh over and over until something new showed up. I just simply didn’t get it done in time. Which is infinitely more important than a craft. 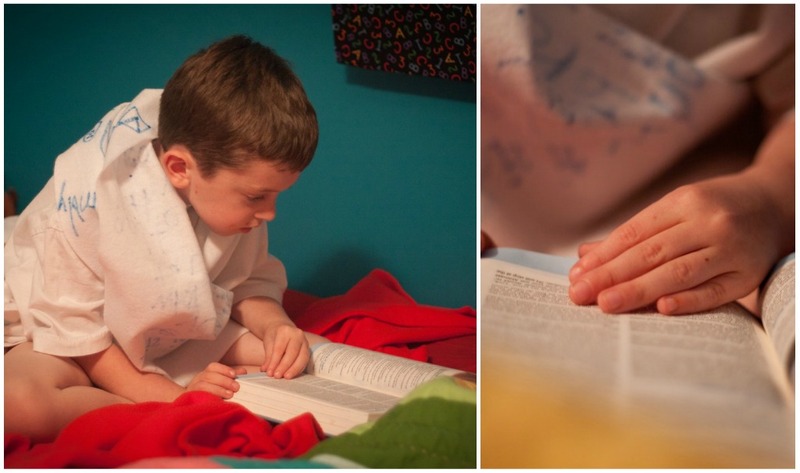 I walked into his room to find him wrapped in his “prayer mantle” and reading quietly. Be still and know that I am G-d.
2 Responses to I’m late! I’m late for a very important date! Gramama is SO proud of that precious boy! !